Home Gamemoir Classics	Game Boy Emulation Patent – What Does this Mean for Nintendo? Is Nintendo going to port its Game Boy games to mobile devices? Will this spell the end of the Mario factory? Should you care? Join Nick D. as he tries to answer these questions and more. Back on June 23rd of this year, Nintendo filed a patent application for Game Boy, Game Boy Color, and Game Boy Advance emulation, which was published recently by the United States Patent and Trademark Office on November 27th (a copy of the application can be found here). This application would cover Game Boy emulation in various devices, notably mobile devices such as cell phones and tablets. This is interesting in that Nintendo has been pretty adamant that Nintendo games need to be played on Nintendo devices. And it might not lead anywhere as this is not the first time Nintendo has filed patents on Gameboy emulation. However, it also could be evidence that Nintendo is finally willing to let some of its games out of its draconian fist and into the free world. Accordingly, the questions on everybody’s minds are whether Nintendo is actually going to start allowing mobile ports, and what this would mean for Nintendo as a whole. Whether this patent application is an indication that Nintendo will start branching out is very difficult, if not impossible, to determine. Patents are often filed conservatively, trying to cover a wide range of uses so that the patent filer protects the most rights. For example, a filer of a medical patent might list ‘cancer’ as one of the things their drug cures. This doesn’t mean the drug cures cancer, despite the fact that this kind of practice has all the anti-big pharma nuts going crazy. What this means is that if the drug happens to cure cancer, by some coincidence, then the patent filer will have a patent for that use. If they didn’t put cancer as a possible use, and the drug was later discovered to cure cancer, someone else could file a patent for the same drug under the different use. To put it simply, patents are filed even when companies and individuals don’t think they’ll ever need them. They are a defensive measure, in many cases. Moving back to Nintendo, the stated use of their patent is very specific, not like the wide-net casting example I gave above. It is only for the emulation of Game Boy, Game Boy Colour, and Game Boy Advance on various devices. 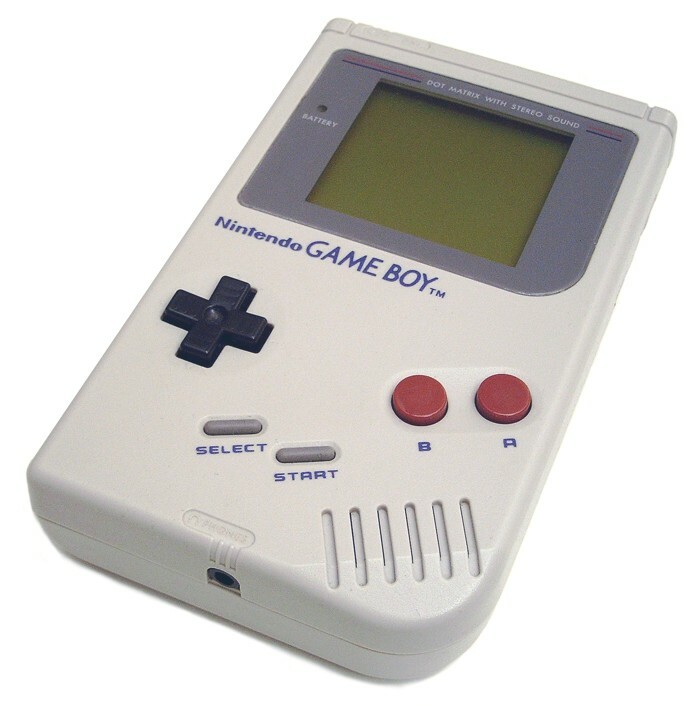 Though the list of devices is broad, the Game Boy family of devices is a very narrow focus, and one which only Nintendo really has an interest in. While emulators certainly exist online, it does not seem like the purpose of Nintendo’s application is to police them . Also, Nintendo has allowed emulation in various circumstances. I’m sure many people remember hotels having deals with Nintendo to run Super Nintendo and Nintendo 64 pay-per-play emulators in hotel rooms. These uses have already existed, so the real interesting part of this application is that Nintendo may be setting down groundwork for what may be a move into mobile territory. Again, whether they do this or not isn’t really revealed by the patent application itself. Nintendo could do this, of course, or they can sit on it for another decade like they did with the previous patents. The reason why this is news now, and never really hit mainstream thought before is because the conversation of whether Nintendo should remain a hardware developer has never been stronger. With the Wii U being outsold by the other two consoles, despite the clear value it represents, people have been wondering if Nintendo shouldn’t just follow Sega’s example and become a software developer. After all, everyone still loves their software. The question then becomes, how would mobile Game Boy emulation affect Nintendo if they actually acted on them? Firstly, not very much would change. I’m sorry to Golden Sun fans, but Nintendo’s biggest games were never on the Game Boy line, with the major exception of Pokémon. In many ways, the reason people are excited about this announcement is the ability to play Pokémon on their phones. Nevertheless, Game Boy games, while entertaining, where never the heavy-hitters that DS and especially 3DS games became, nor their console cousins. Thus, branching out with Game Boy emulation would have very little effect, I would think. Square Enix has been putting old Final Fantasy and Dragon Quest games on mobile phones for awhile now, but these game have generally flown under the radar, and, trust me, Final Fantasy VI is a way bigger deal than any of the Game Boy Castlevanias. The biggest effect this branching out would have would be against the Virtual Console. Nintendo would essentially be eating into its own sales. For many people, the Virtual Console is a selling point for both the Wii U and the 3DS. Remove that feature and make it common to multiple platforms, and you may find fewer people getting enthused about your system. As Gamemoir has noted before, the Virtual Console is criminally mishandled by Nintendo anyway, so this might not have a huge negative impact. In fact, if a mobile games sector is successful, it might encourage Nintendo to port more older games over to phone and the Virtual Console. Or maybe not. It’s hard to say. The risk of the whole thing, though, is that a successful run of mobile Game Boy games could lead Nintendo to broadening that mandate to their console library, as well as more modern handheld games. To many, this isn’t a risk, but a welcome change. After all, why shouldn’t we be able to enjoy Super Mario World, while waiting in line for a movie? The risk is on Nintendo’s part. As a hardware developer, they need purchases. They need the brand Nintendo to be synonymous with Nintendo hardware. If Nintendo, as a brand, gets scattered to many different devices, then people won’t feel the need to purchase a Nintendo system for their games. Again, whether this is a good thing or not depends on what side of the fence you’re on as to whether Nintendo should stay as a hardware developer. My two cents are that Nintendo is the only console maker bringing something unique to the market. Even if it’s less effective, uniqueness in a homogenized market should be preserved. So, lets answer some of the bare questions in as few words as possible. Does the filing of the patent application for Game Boy emulation mean that Nintendo is going to bring Nintendo games to mobile devices? No. It may choose to do so, but the application itself is not strong evidence that Nintendo will exercise its option. What would be the consequence of doing so? It would be the starting push of Nintendo becoming a software developer instead of a hardware developer – becoming a little more modern publisher and a lot less Nintendo.